1st Divisional Signal Coy, Australian Field Engineers, 1st Australian Division, A.I.F. Francis Cornwall Williamson joined the Australian Army and served with the 1st Divisional Signalling Company, Field Engineers. 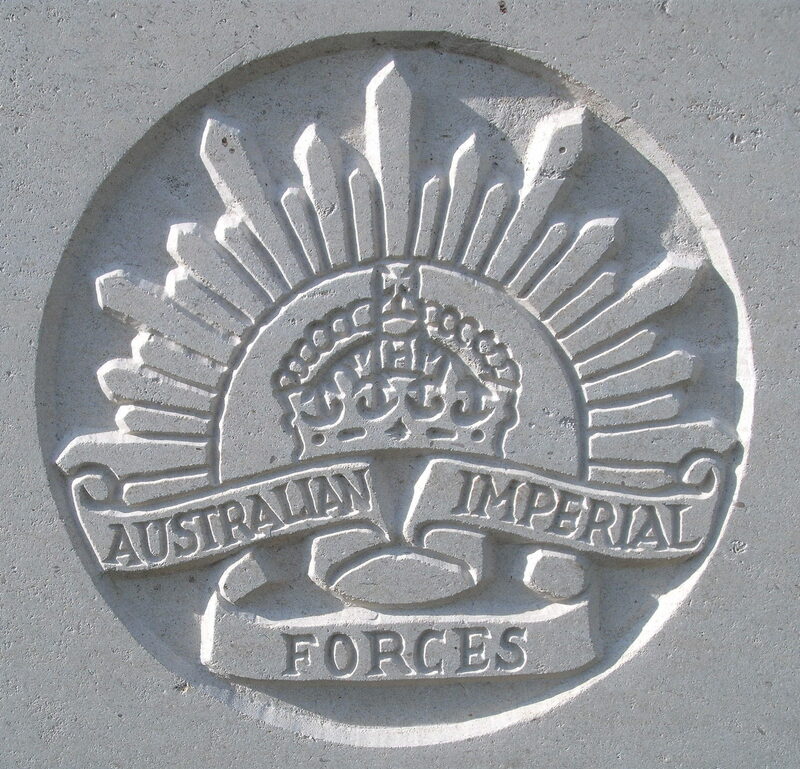 The First Australian Division was formed in Australia in August 1914. It embaarked from Western Australia in November and was diverted from an original destination in the United Kingdom to Egypt due to accomodation problems. It landed at Egypt in December. During this time the division took part in the defence of Eygpt, defending the Suez Canal against Turkish attacks in February 1915. Sapper Williamson died of pneumonia on 3rd April 1915 while on active service in Egypt aged 18. He was the second son of Mrs Williamson, of Moseley Lodge, Albert Road late of Alanwood, Avenue Road, Great Malvern. Mrs Williamson’s youngest son, Second Lieutenant William C Williamson who served with the Royal Marine Light Infantry was reported to have beens seriously wounded in November 1917.